There are several reasons to seek out kidney flush treatments using home remedies. The most common reason originates from people who are prone to kidney stones and wish to help to dissolve and remove them from their systems, but bacterial infections and toxin buildups can also lead to illnesses of the kidney, bladder or urinary tract. Not surprisingly, most kidney flush remedies involve clear liquids. See your doctor at the first sign of kidney stones or kidney issues, and don&rsquo;t undertake any home treatments without seeking medical advice. The most obvious method of kidney flushing remains drinking six to eight 8 oz. glasses of water each day. Not only can water help to rid the kidneys of compounds that might lead to kidney stones or gout, but it helps to prevent serious kidney damage relating to muscle fiber entering the bloodstream, notes MedlinePlus. This condition often results when strenuous exercise is not followed by hydration. Drinking water flushes the muscle fiber from the kidneys. 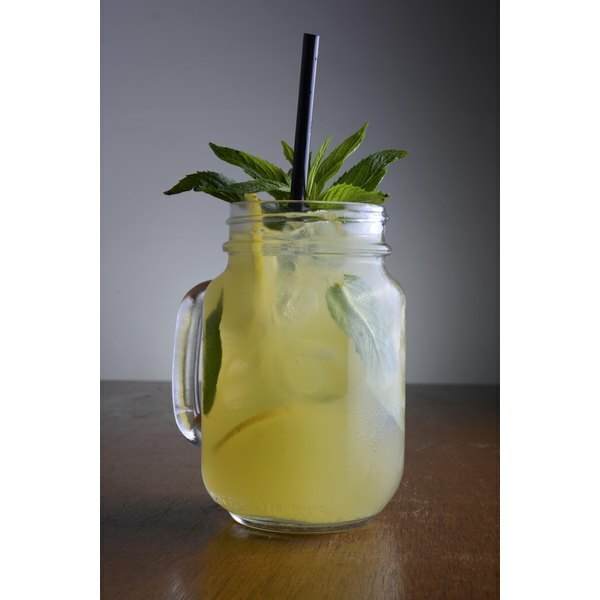 Lemonade is sometimes mentioned as a home remedy to help flush the kidneys. According to the &ldquo;People&rsquo;s Pharmacy,&rdquo; a syndicated column dedicated to home remedies, lemonade works in part because fluids in general help flush the kidneys, as with the plain water cure. Additionally, lemon juice contains citrate, which helps to reduce the rate of of kidney stone formation. To really take advantage of lemonade as a kidney flush, be prepared to drink at least one quart of low-sugar or unsweetened lemonade each day. Flushing the system of excess uric acid may to prevent the formation of uric acid stones. Kathi Keville&rsquo;s book &ldquo;Herbs for Health and Healing&rdquo; provides a kidney-flushing tea to help the body dispose of excess uric acid. Many of the dried herbs can be wild-crafted or found in health food stores. To prepare the tea, add 2 tsp hydrangea root and 1 tsp each wild yam and cramp bark to 1 &frac12; quarts water in a stock pot. Bring to a boil, then lower the heat and simmer for 15 minutes. Remove from heat and add 1 tsp Joe Pye weed and &frac12; tsp each corn silk, plantain and yarrow leaf. Steep for 20 minutes before straining the botanicals and reserving the infused liquid. Chill the mixture and drink up to four cups a day. For basic flushing of the kidneys and the entire urinary tract, Keville suggests a beverage made by infusing &frac12; tsp each oat straw, nettle leaves, rose hips and dandelion root, along with &frac14; tsp each marshmallow root and fennel seed. Add these to a stock pot with 1 quart water, simmer for about 5 minutes and remove from heat. Allow the herbs to steep in the water for 30 minutes, strain the herbs and chill the infused liquid. Drink up to two cups daily. In the &ldquo;Green Witch Herbal,&rdquo; author Barbara Griggs recommends an alkaline vegetable broth to counter excess acidity in the body. Follow a standard broth recipe, but make it exclusively from alkaline vegetables such as celery, carrots, spinach, parsley and tomatoes. Strain the liquid and have a cup of the clear broth once or twice a day.